Through both a love story and an exotic adventure in Thailand, Silver ramps up the suspense and keeps it high until the very last page. 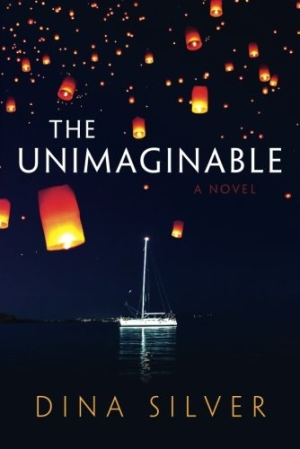 Anyone who wishes swashbuckling and seafaring romances weren’t confined to the days of yore will welcome Dina Silver’s second novel, The Unimaginable. Awash with the potent themes of love after loss, reinvention of self, and courage under fire, this character-driven story will appeal to adventure aficionados and romance lovers alike. For twenty-eight-year-old Jess Gregory, going to teach in Thailand represents breaking away from a commonplace life in Indiana: marriage, babies, housewife, consummate pie-baking. Little does she know that going out of her comfort zone will force her to confront scary things: the reality of poverty, the dangers of pirates, and, perhaps, a chance at true love. Silver plunges readers into Thailand, making the setting seem simultaneously exotic and familiar through poignant use of detail. Silver describes Jess’s unexpected encounters with students, doing so with an evocative economy of phrase. While many readers are familiar with teachers seeing students out of the school context, Silver’s simple phrasing drives home both her experiences and the extreme poverty of some of Jess’s students, such as Alak, who must repeatedly wear the same outfit. Jess and Grant rise above the clichés of the typical emotionally tortured romantic couple through plain, no-frills dialogue and realistic behavior. The primary and secondary players render themselves likable because they all have unique personality traits. Between the touch-and-go relationship of Jess and Grant and the threat of danger on the high seas, Silver quickly ramps up the suspense in the narrative and keeps it high until the very last page. In a testament to Silver’s skill as a writer, she is able to blend Jess’s time teaching in Thailand and the character’s time aboard Grant’s ship into one seamless narrative of personal growth. For all the intrigue and emotional baggage they experience, both Jess and Grant end up happy with a refreshingly unexpected twist to the ending. The Unimaginable shows without a doubt why Silver’s writing has won awards, and one can only imagine the captivating novels she has in store for the future.